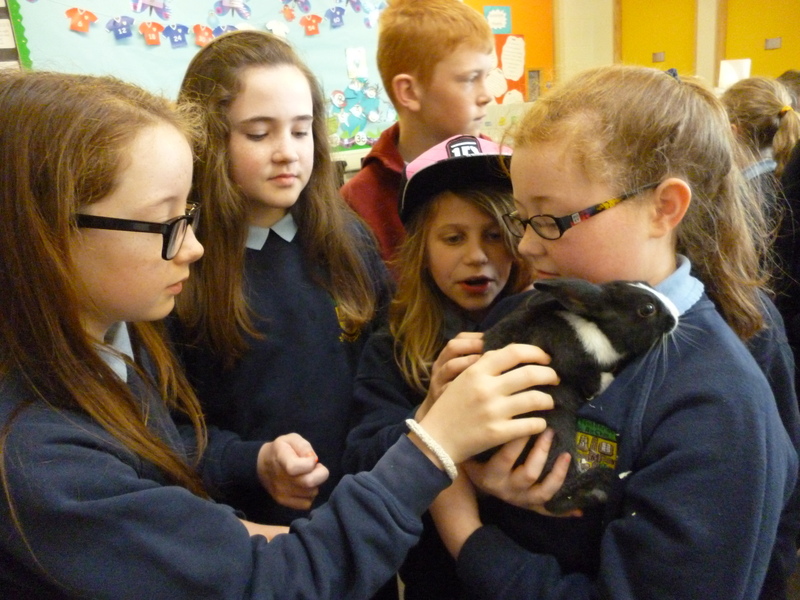 On Friday, Gwen brought in her pet bunny to show the class! 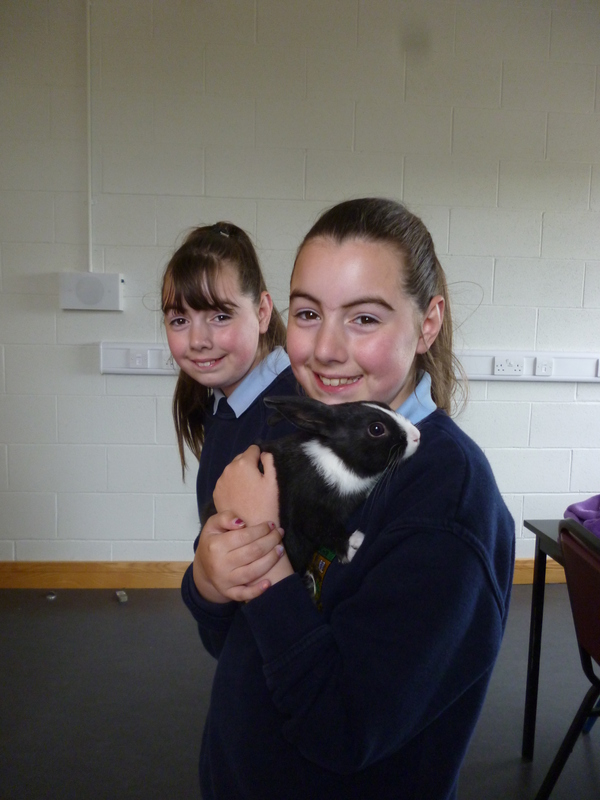 It was truly adorable and very well behaved! 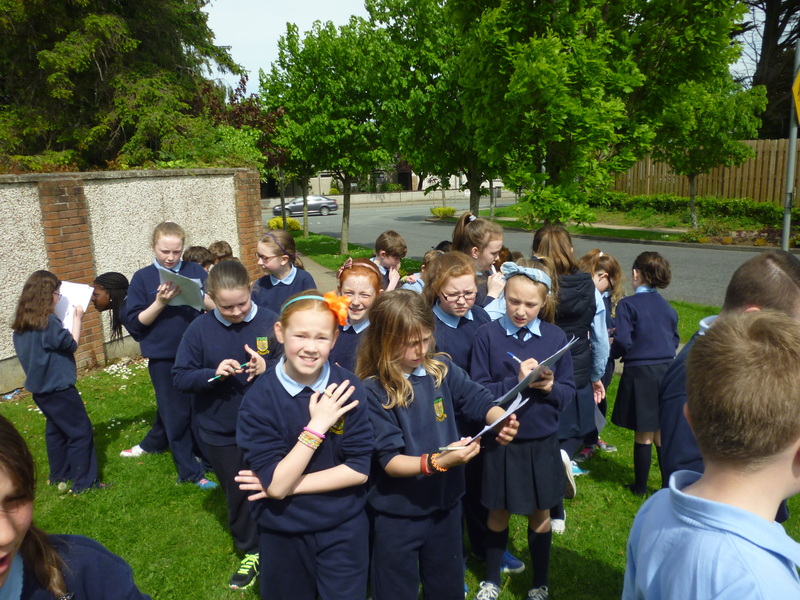 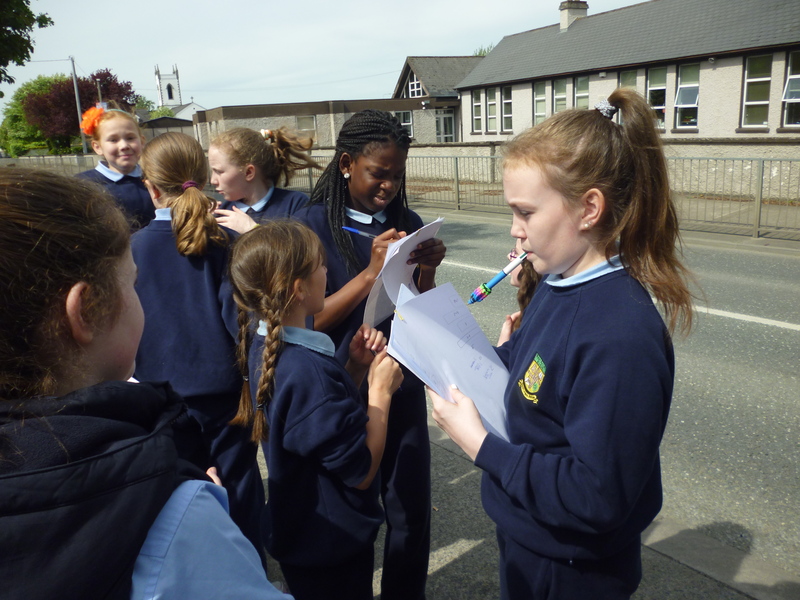 Ar an Aoine, chuamar timpeall an Chill chun féachaint ar na foirgnimh agus na tithe éagsúla atá sa cheantar. 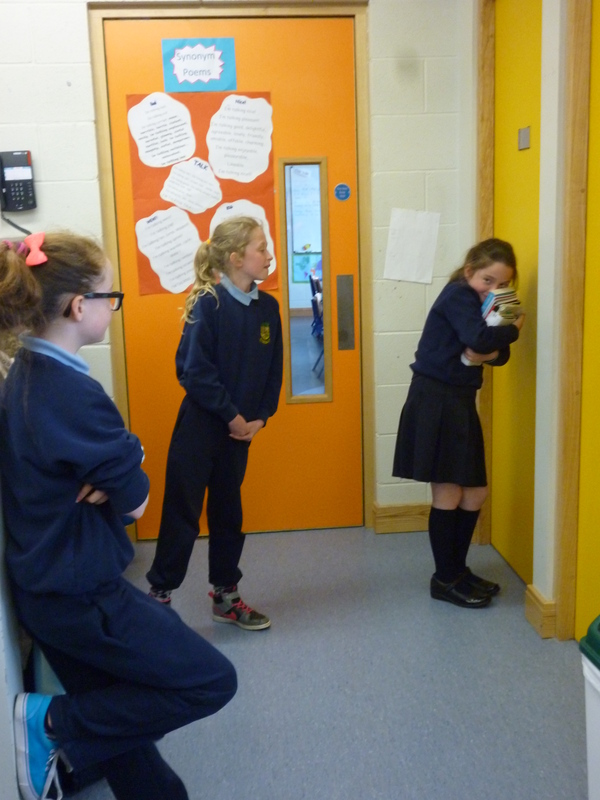 Chuireamar lipéidí ar léarscáil Chill. 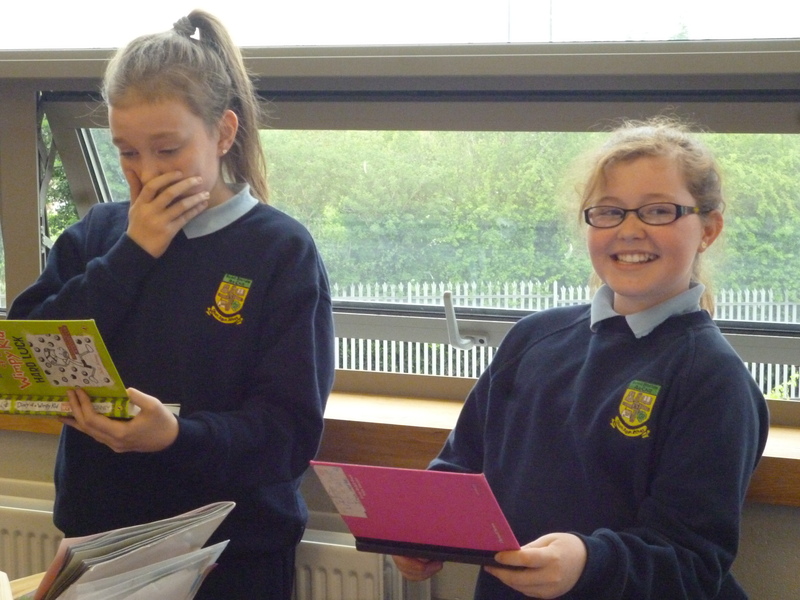 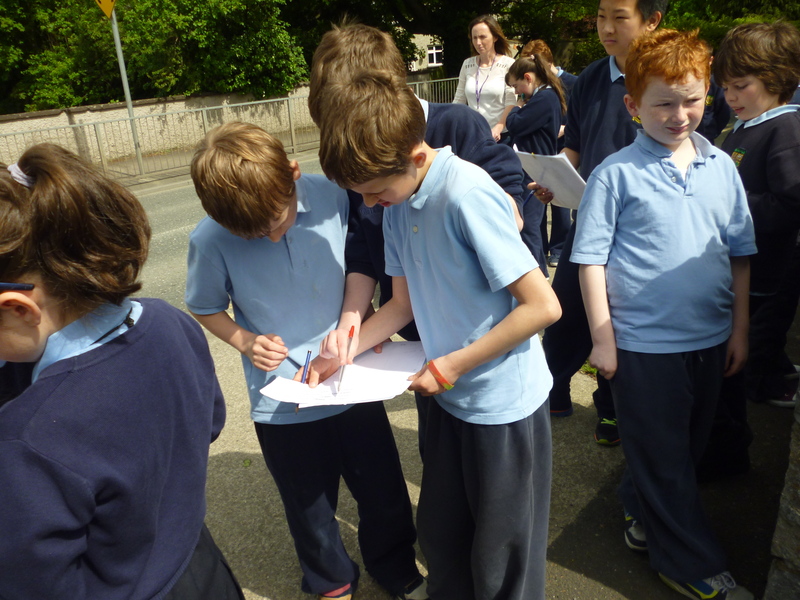 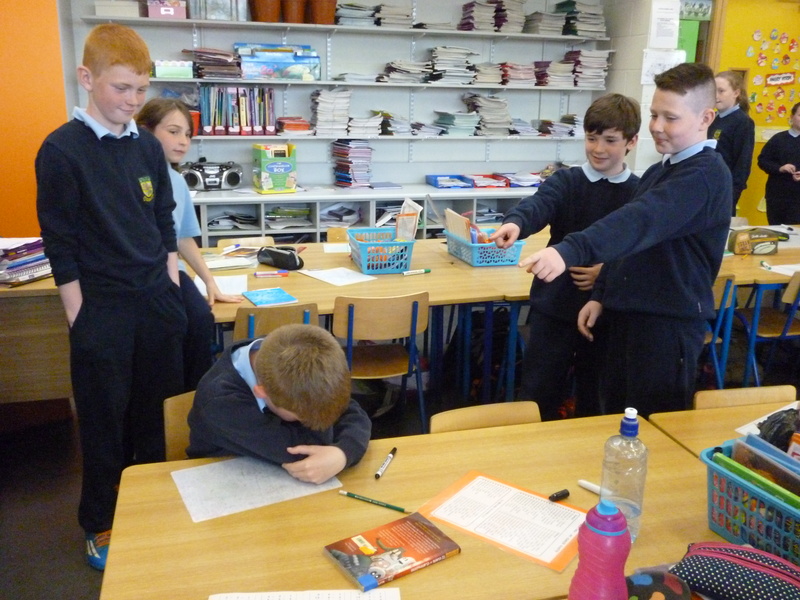 Táimíd ag foghlaim an dán ‘Na Míosa’. 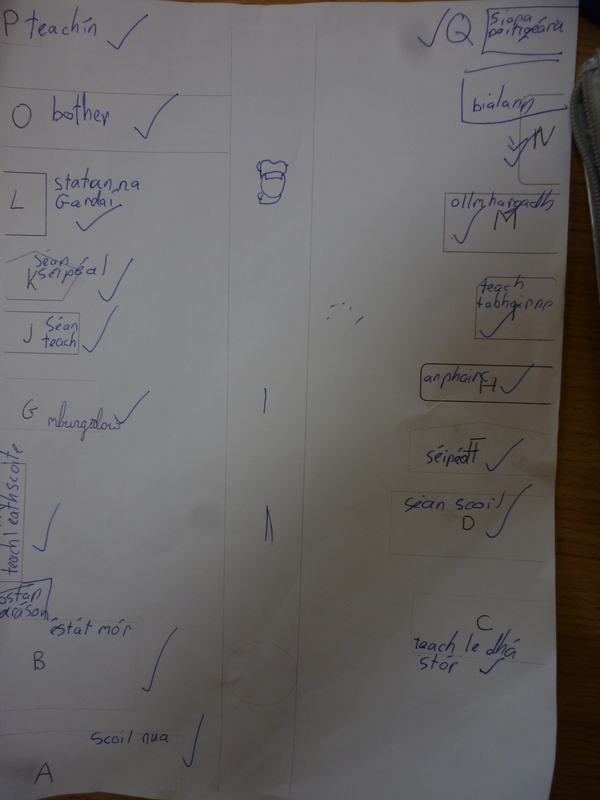 Éist leis an ‘widget’ chun cabhrú leat! 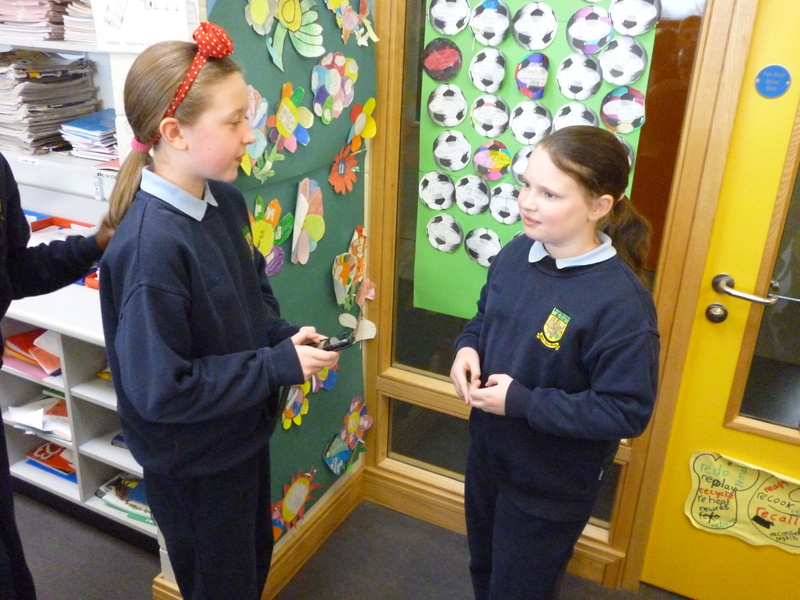 We are learning a new song called ‘Power in Me’ for assembly. 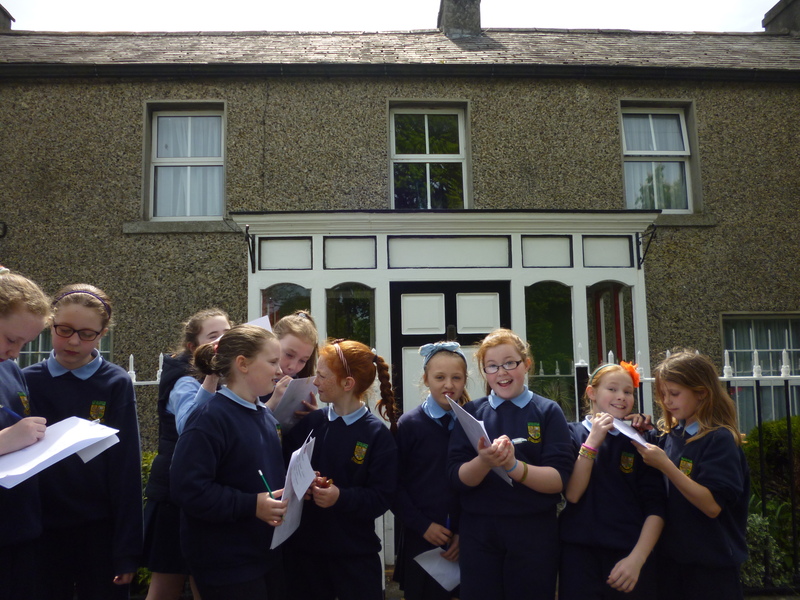 Here are the lyrics and a video with the actions. 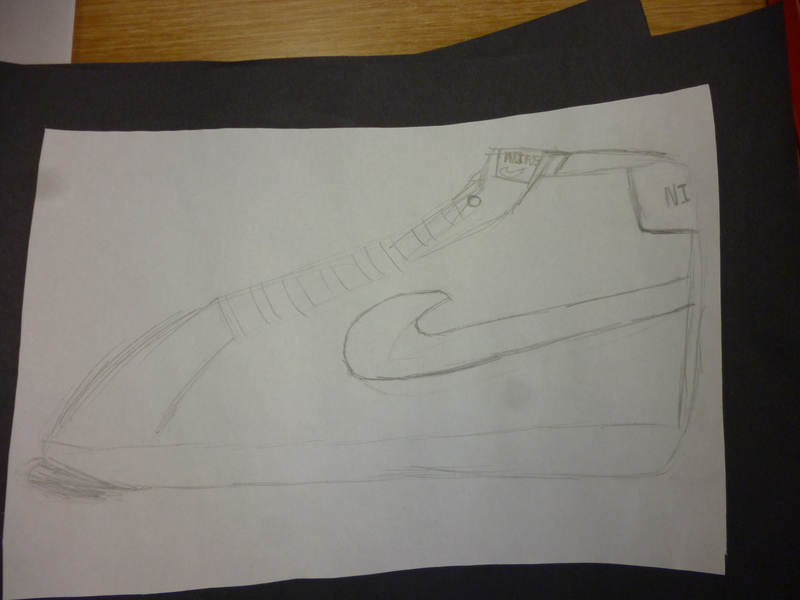 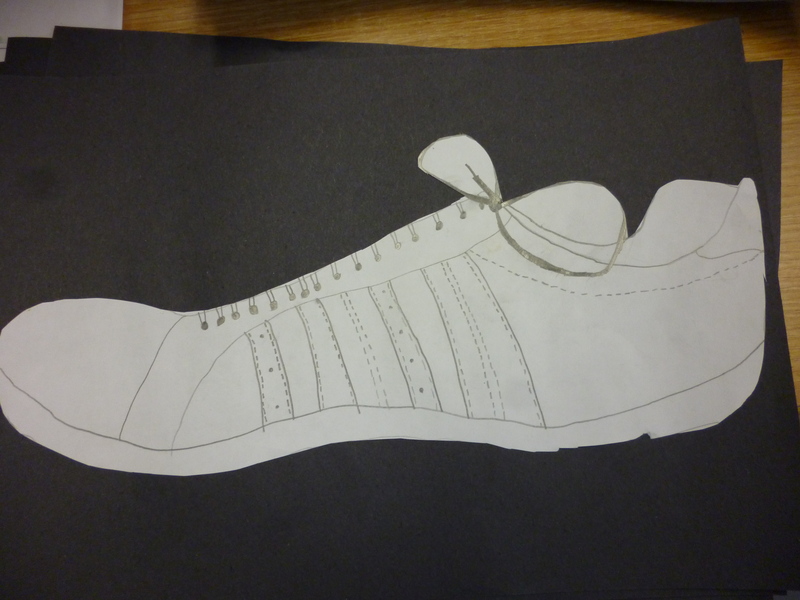 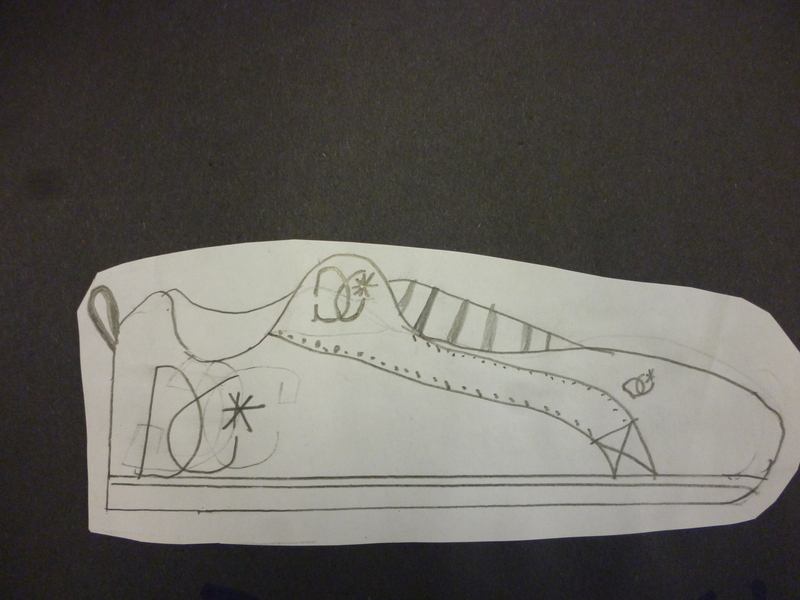 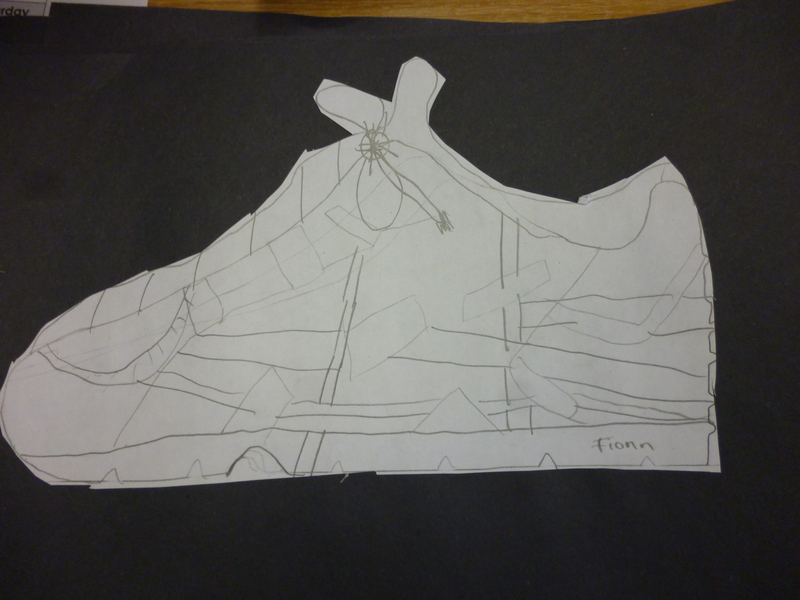 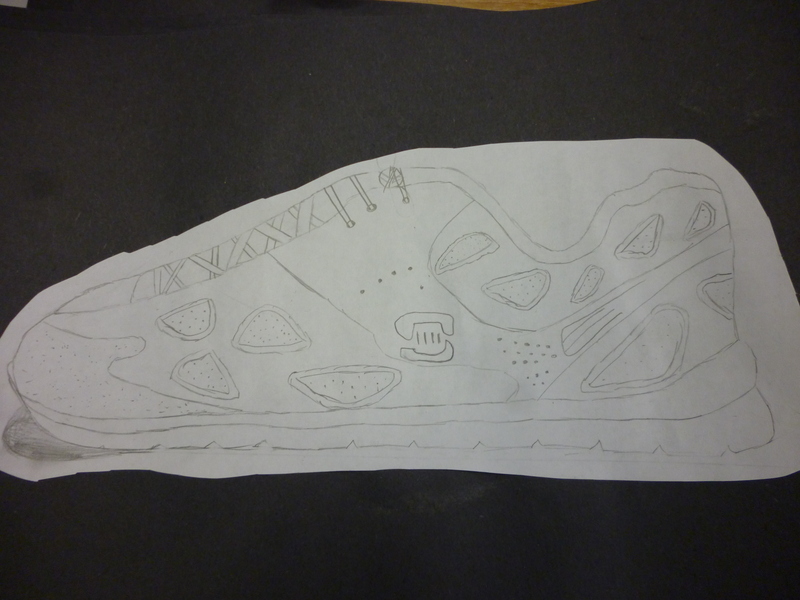 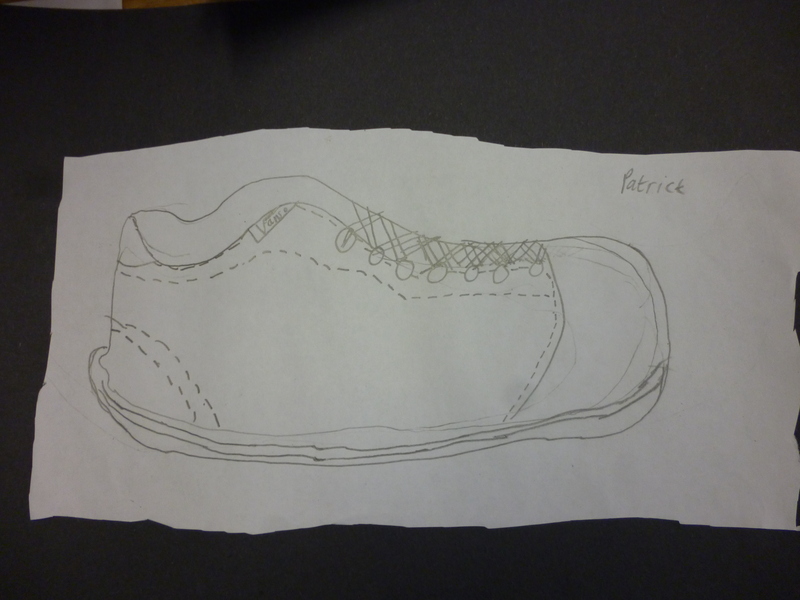 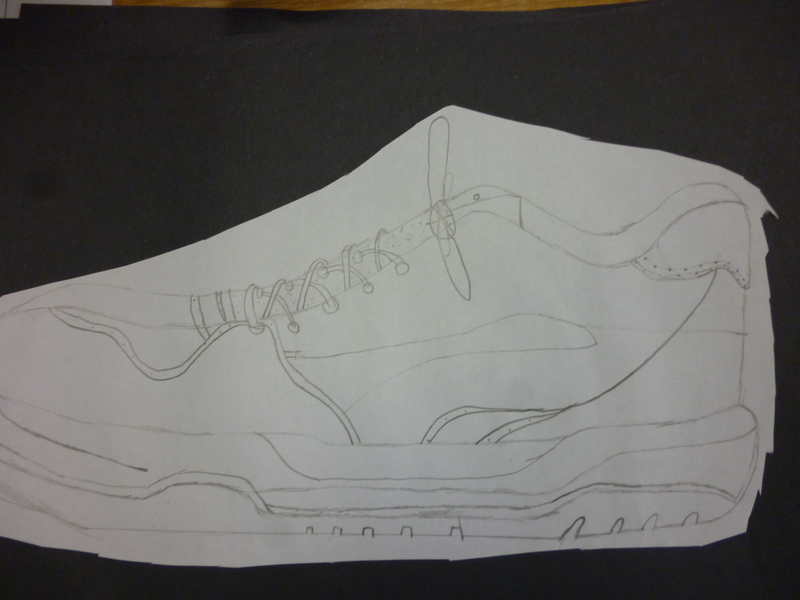 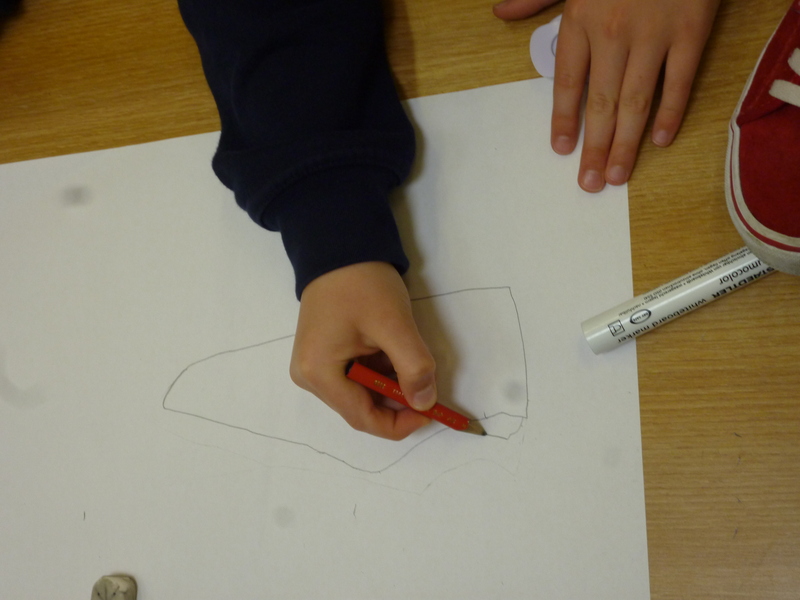 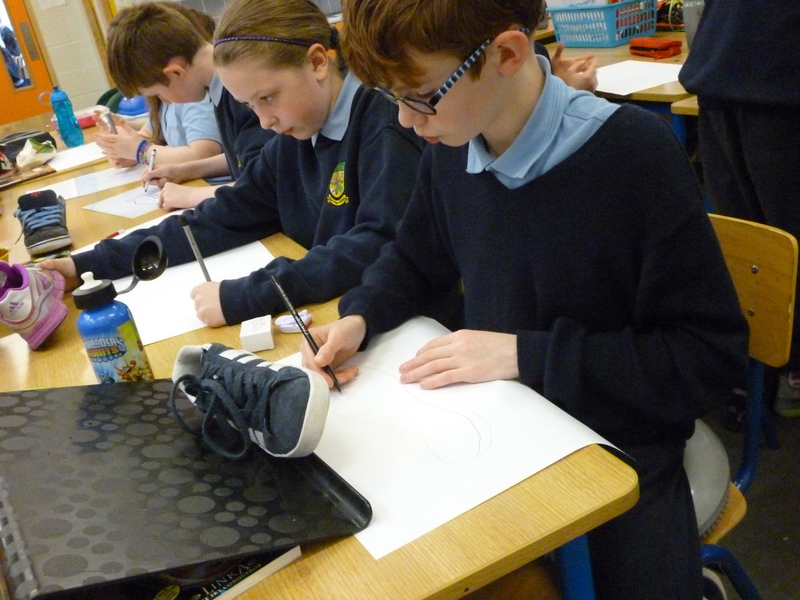 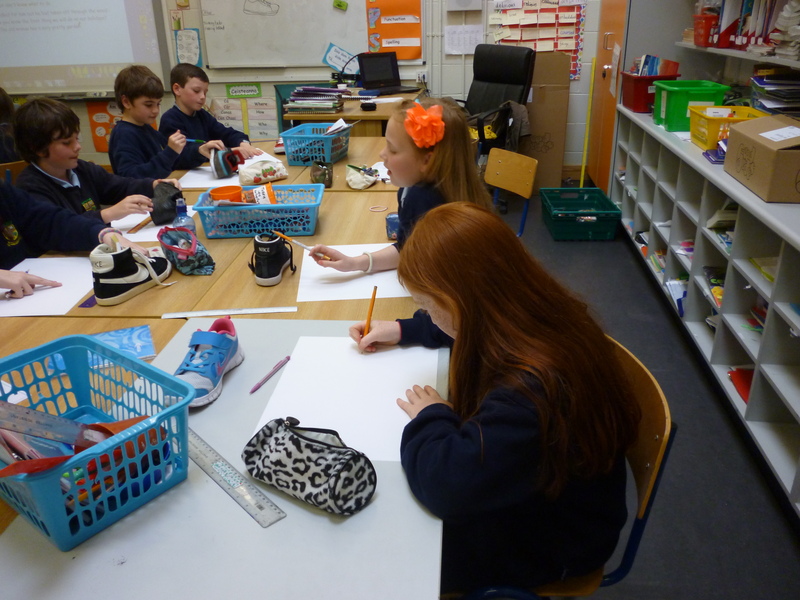 In art this week, we had a lesson in drawing our shoe! 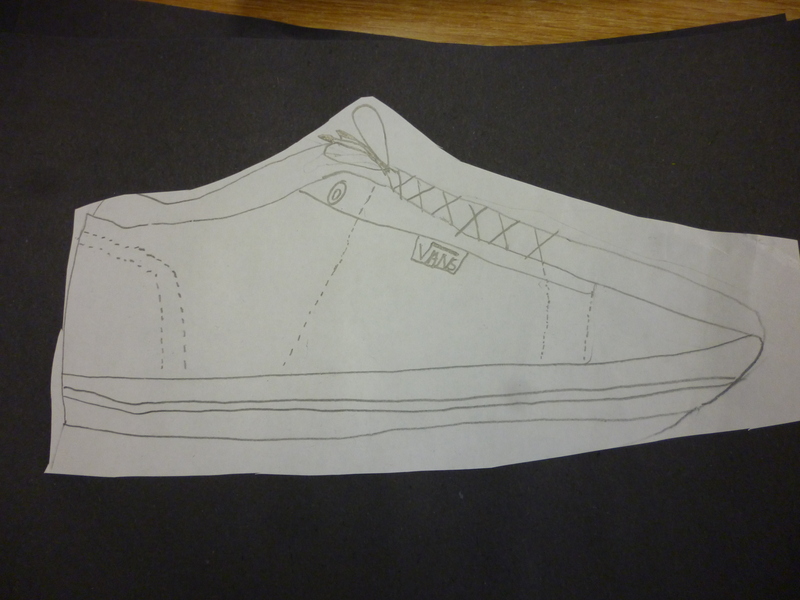 First we focused on drawing the outline shape, then we added an extra dimension to make it look 3-D and finally we added details such as the laces, stitches and brand name. 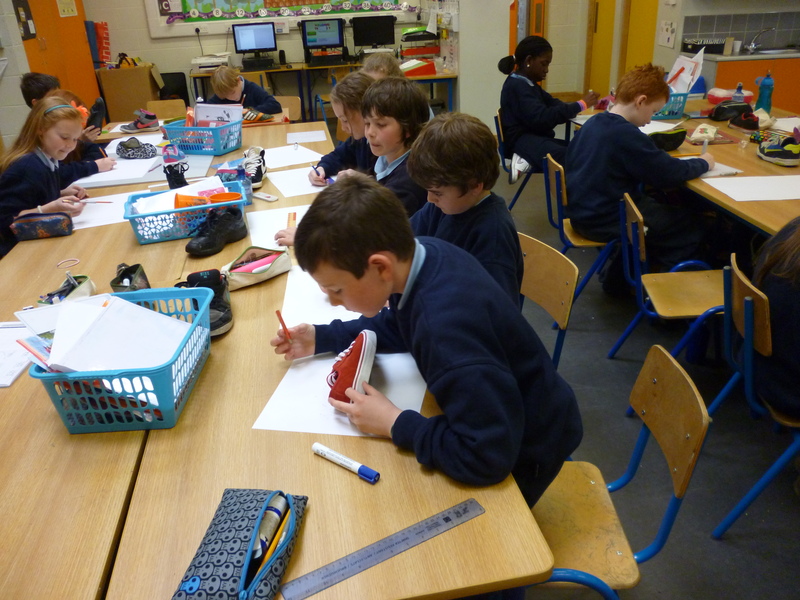 Food Dudes is well and truly under way in fourth class with great success so far! 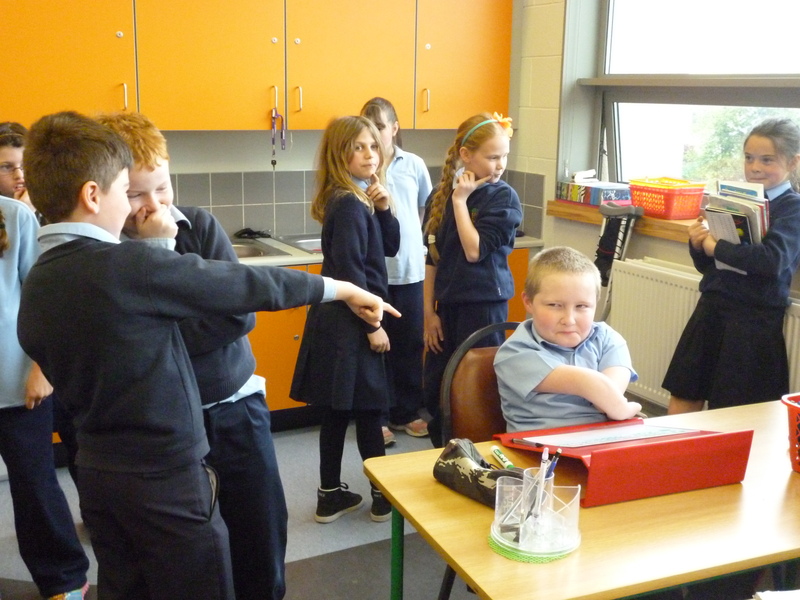 Food dudes is a programme which aims to encourage children to eat healthier. 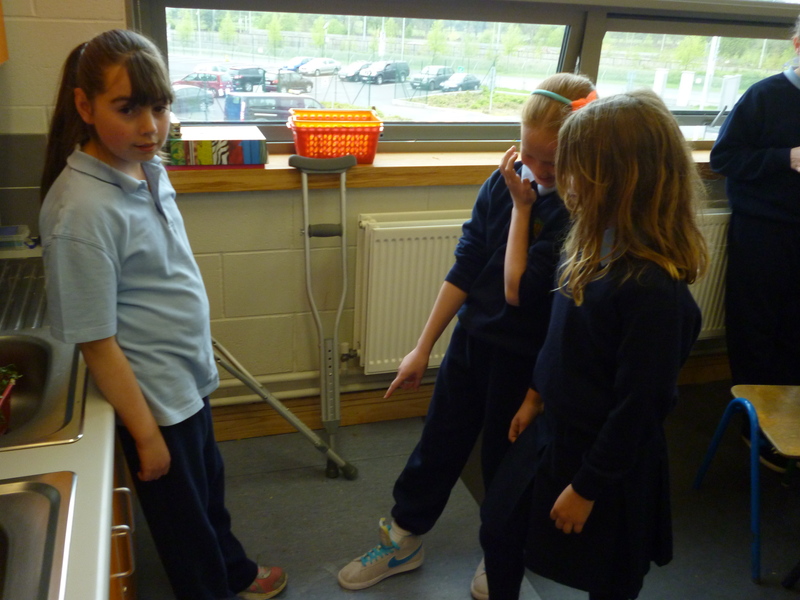 Each day the children are required to eat a portion of fruit and vegetables and receive a reward for doing so. 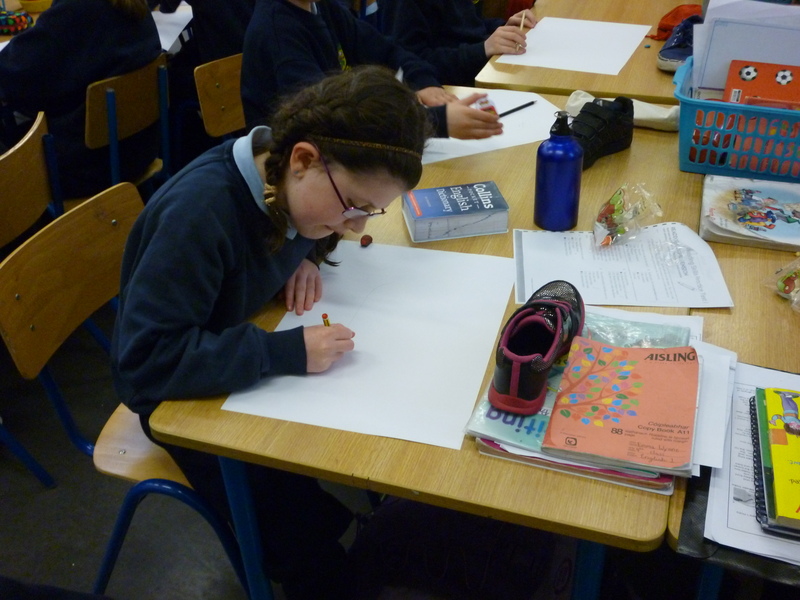 It is hoped that children will develop a taste for healthier food in their daily diet. 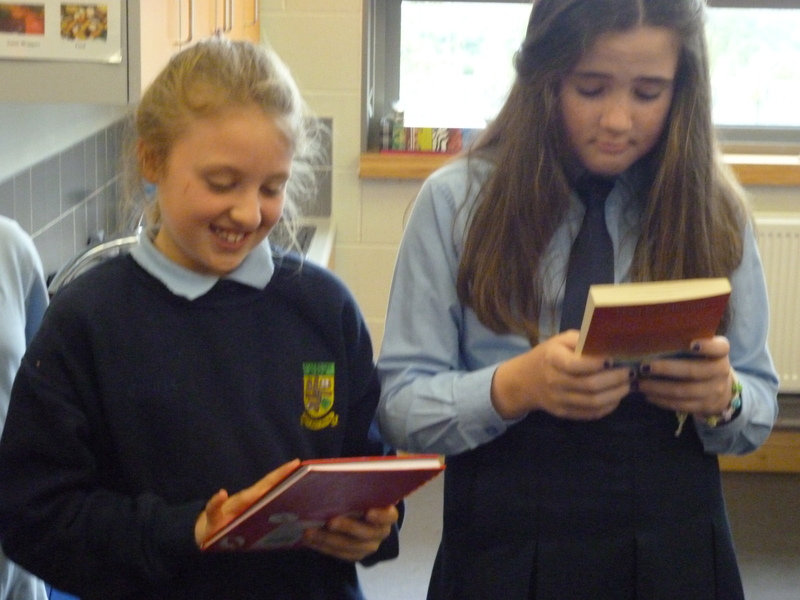 For more information and to try some fun games, go to www.fooddudes.ie. 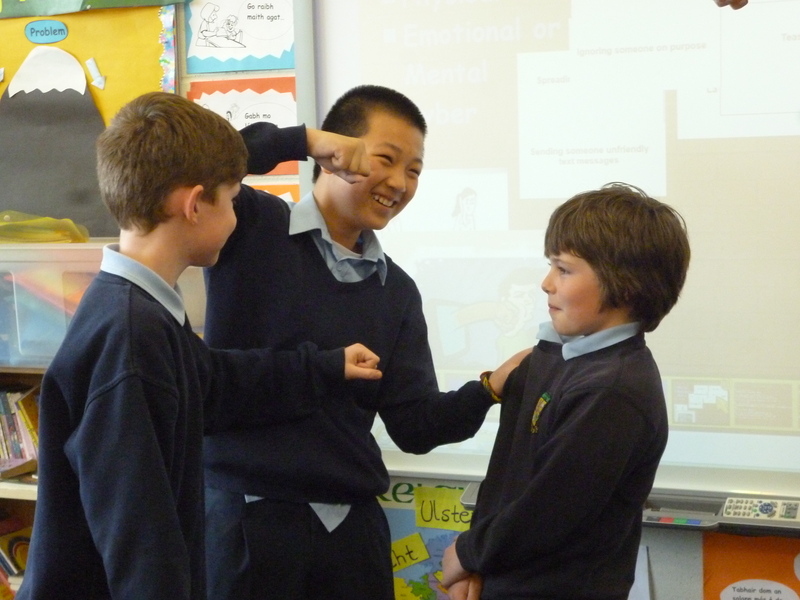 This week, in SPHE we tackled bullying. 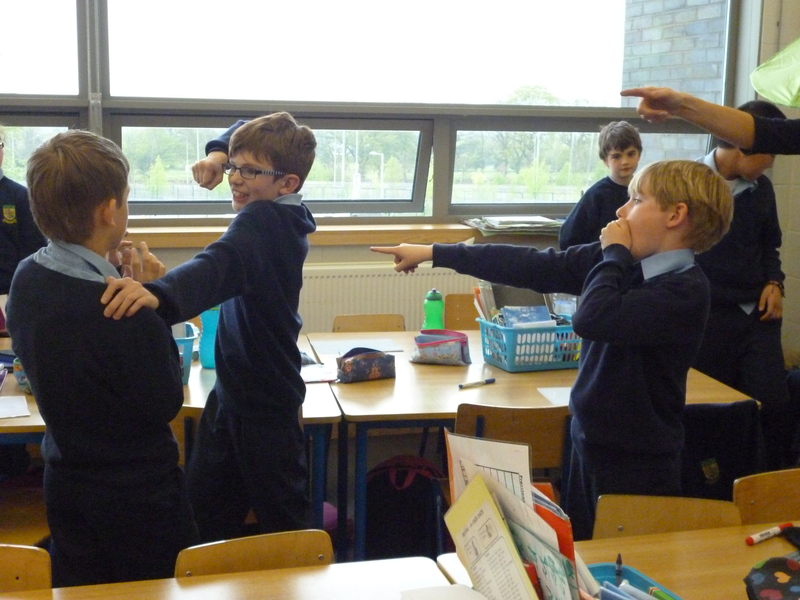 We learned about the different types of bullying (physical, emotional and cyber) and looked at the difference between bullying and conflict (a disagreement). 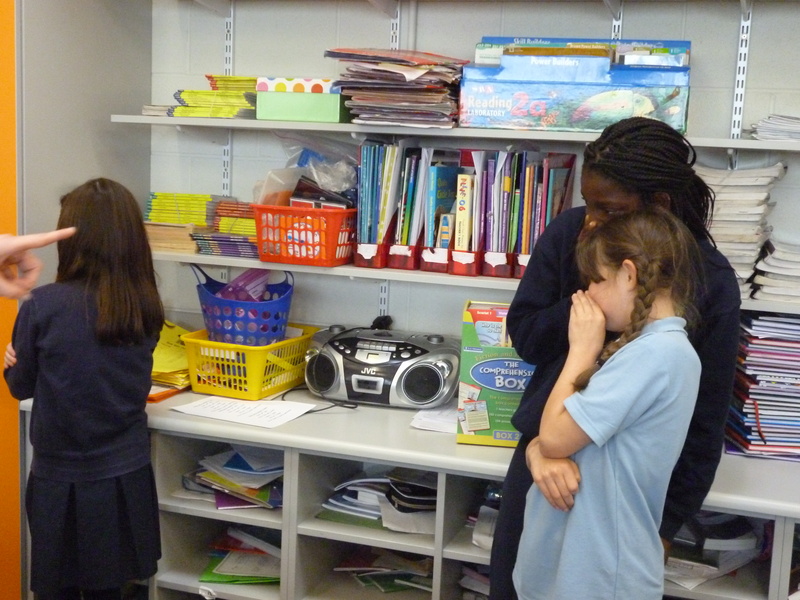 We watched videos demonstrating the different types of bullying and listened to stories of people who have been bullied. 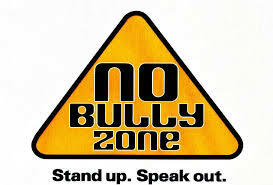 This helped us to become aware of how the victims of bullying feel. 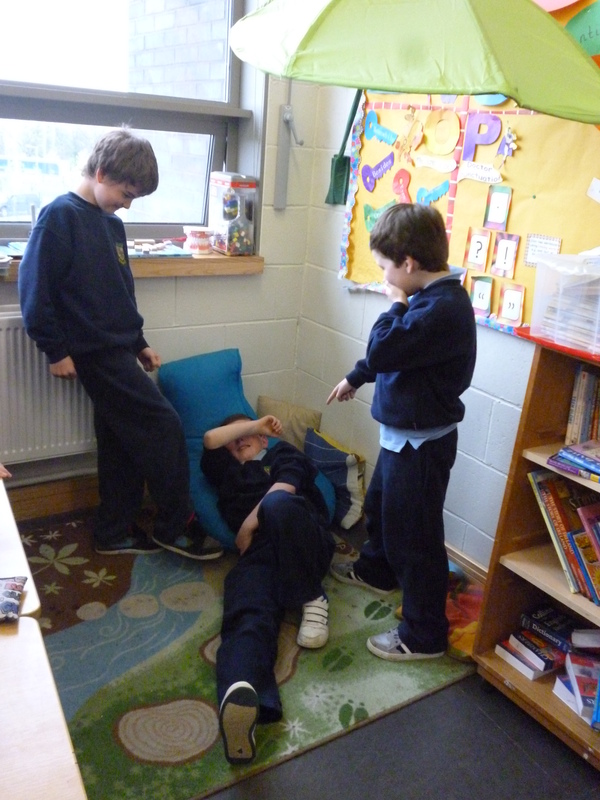 We looked at the role of the ‘bystander’ and the power the ‘bystander holds in stopping bullying. 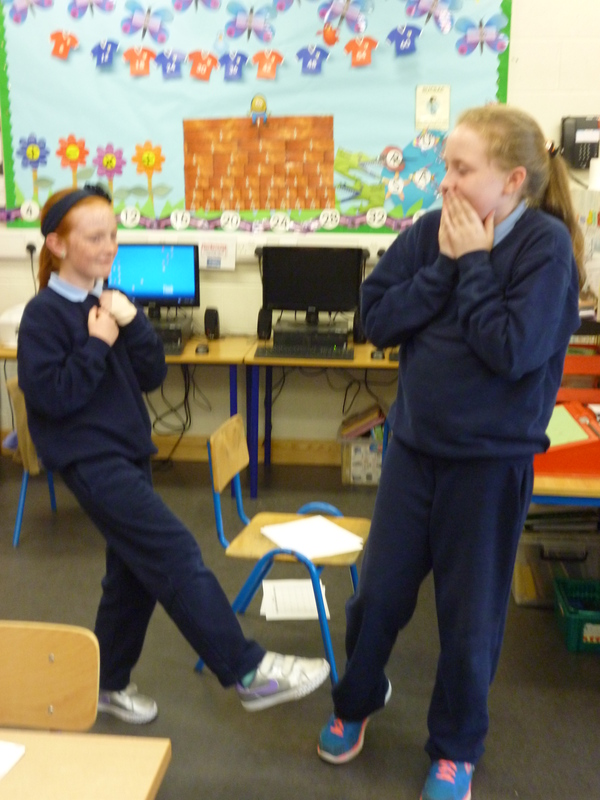 In pairs, we came up with ways to stop bullying and in groups we created ‘freeze frames’ exploring cyber, physical and emotional bullying further.